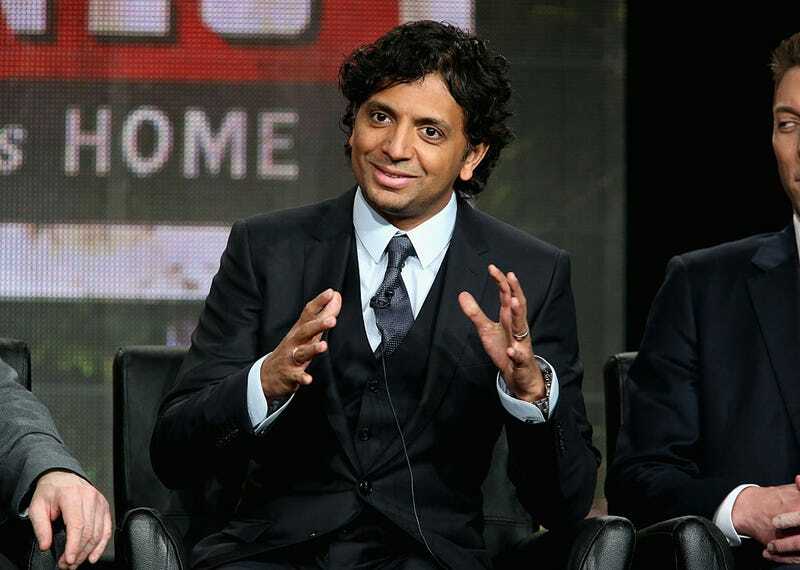 Wayward Pines may be in limbo at Fox, but that just leaves M. Night Shyamalan with time to develop a new thriller series for Apple TV. According to Variety, the Split director is executive producing an untitled show that’s being written by 24: Live Another Day and Berlin Station alum Tony Basgallop. Shyamalan will also direct the pilot episode. Story details are nonexistent at this point, but Apple’s confident enough to have handed out a straight-to-series order to the half-hour thriller. There’s currently no word on when production will begin. This is just latest series order from Apple—over the last year, the streamer also picked up a morning show drama from producers Jennifer Aniston and Reese Witherspoon, as well as a new drama from Damien Chazelle. Apple also recently green-lit a docuseries from Oscar nominees Emily V. Gordon and Kumail Nanjiani titled Little America. And that Amazing Stories reboot is still the works, though that project recently suffered a serious setback with the departure of Bryan Fuller (where have we seen that before? ).